These past few years I’ve been driven into exile, hunted down and attacked from all sides. And now I feel quite certain it’s all been worth it. Chen Min (陈敏) is a historian and journalist best known by his pen name, Xiao Shu (“Laughing Sichuanese”). He continuously seeks avenues for writing and political activism, despite repeated dismissals and detentions. Xiao Shu is the author of two books on PRC history, both banned soon after their publication. Xiao Shu was a columnist at the liberal paper Southern Weekly from 2005 to 2011, when he was forced out due to his political beliefs. Xiao Shu was born in 1962 in Chongqing, then part of Sichuan Province. After graduating from Sun Yat-sen University in the 1980s, he became a lecturer in history at Tongji Medical University (now part of Huazhong University of Science and Technology). In 1999, Xiao Shu published two books on PRC history. One book, “Harbinger of History: Past Promises of the Chinese Communist Party” (历史的先声——中国共产党曾经的承诺), is a compilation of writing in praise of democratic values, and even of the American model, from Party publications during the 1940s. The second, “The Truth About Liu Wencai” (刘文彩真相), deconstructs the story of the quintessential evil landlord. Both books were banned within months of publication. Soon after his books were banned, Xiao Shu left his teaching appointment to begin a new career as a journalist and political commentator. He moved to Beijing in 2002 and joined China Reform Magazine as an editor. In December 2004, Xiao Shu was briefly detained while at work. 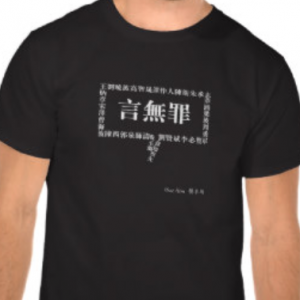 Xiao Shu’s detention was one of a series that month that also scooped up activists Yu Jie and Liu Xiaobo. 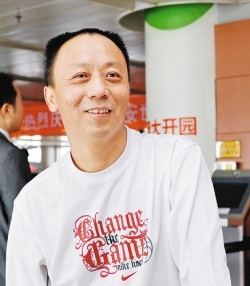 Xiao Shu moved again in 2005, this time to Guangzhou, where he joined Southern Weekly as a columnist. He stayed at the liberal paper until 2011, when he was again dismissed. After Southern Weekly, Xiao Shu joined the editorial board of the journal Yanhuang Chunqiu, which managed to stay independent of its government-affiliated supervising organization until the summer of 2016. Then, the journal’s senior staff were replaced and the National Academy of Arts, itself a subsidiary of the Ministry of Culture, became its new supervisor. Xiao Shu was active in the New Citizens Movement, lawyer Xu Zhiyong’s concept of political dialogue and engagement at the local level. Xu was detained in July 2013 for allegedly “gathering crowds to disrupt order in public venues.” Xiao Shu spearheaded a signature campaign calling for Xu’s release, for which he was briefly detained himself. Xiao Shu was undeterred. Not long after he was released from detention, he publicly demanded civil society activist Wang Guoquan‘s release. 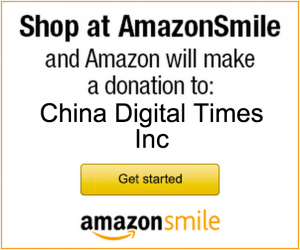 In 2015, Xiao Shu also wrote op-eds in the New York Times and the Wall Street Journal in support of human rights lawyer Guo Feixiong on the eve of Guo’s trial.